The last time #7-seeded Penn State (28-5) faced Hawaii (28-1) was in the 2009 NCAA national semifinals. Penn State, which was 36-0 going into that match, downed then-# 12 Hawai’i (32-3) in four sets (23-25, 25-18, 25-15, 25-18), moving on to the epic match against Texas, where it won its third consecutive NCAA Championship. 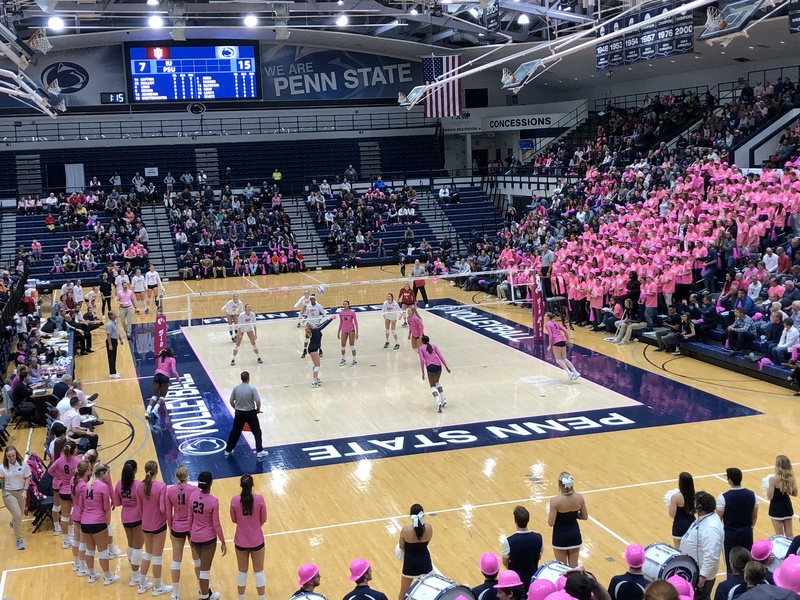 That match featured Penn State players such as Sr. OH Megan Hodge, Jr. MB Arielle Wilson and Jr. RS/Opp Blair Brown, and Sr. setter Alisha Glass. It’s a different cast of characters for Penn State this time around. 6-4 RS Sr. RS/MB Aiyana Whitney leads the team with 3.11 kills/set, reaching double digits for kills in nine of the Nittany Lions’ last 11 matches. 6-3 So. MB Haleigh Washington is averaging 1.40 blocks/set (2nd in the B1G, 20th nationally), and is hitting .443 — 1st in the B1G and 3rd nationally. 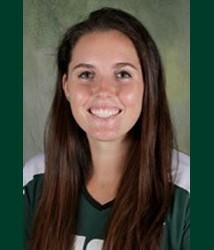 6-2 Sr. OH Megan Courtney has averaged 3.04 kills/set. Whitney, Washington and Courtney all earned 1st Team All Big Ten recognition (Washington was a unanimous choice). Senior libero Kendall Pierce was named Penn State’s sportsmanship honoree. We look forward to playing against a great opponent in Hawaii. We’ve played against each other a number of times over the years. 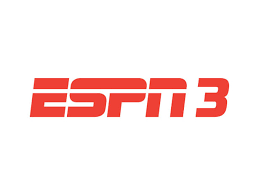 Their performance last weekend coming back to beat TCU, and then being able to beat the SEC Champion, Texas A&M 3-0 on their home court, was a clear indication they’re playing great volleyball this time of year. We’ve gone and played in Hawaii three times. [Hawaii head coach Dave Shoji] is a great coach. It’s a terrific program . . . . I don’t look at it as me against Dave. We’ve known each other for a long time. We’ll want to beat each other during the match, and whoever wins will wish the other good luck, and in that conversation actually mean it. Hawaii’s opponents are averaging 2.00 blocks/set (compared to 1.63 blocks/set for Penn State’s opponents). Not alot of statistical separation between the two teams. 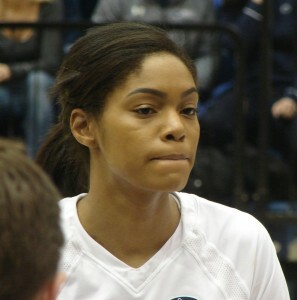 The Wahine are a very scrappy bunch, which makes it important for the Nittany Lions to terminate fast. Hawaii does very well in long rallies. 6-3 So. OH Nikki Taylor is Hawaii’s go-to player and has a tough jump serve (she was second on team with 19 aces). She likes to tip balls over block, but also has good tight-to-the-net cross court and down-the-line shots. Another one of her specialties is hitting from behind 10-foot line, so a good double or triple block would help to force her out of her game in that area. Bottom line: the Nittany Lions need to be really on their toes in the back court on Friday, because Nikki Taylor can hit hard from anywhere on the court. Even though Nikki Taylor is their go-to player, the Wahine are adept at spreading the wealth among 6-2 So. OH Kalei Greeley and both MB’s — 6-1 Sr. Olivia Magill, and 6-3 So. Emily Maglio. Both of these MB’s are good at hanging in air until opponents block comes down and then directing(tapping) the ball over the blockers in front of the 10-foot line. When Hawaii head coach Dave Shoji brings in 6-0 Sr. OH Tai Manu-Olevao, she can get hot serving(had 22 aces). 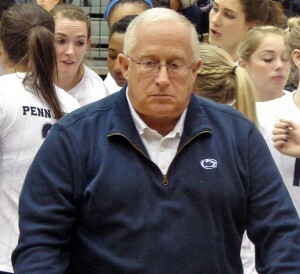 Speaking of serving, I think serving tough is particularly important for Penn State. When Hawaii gets out of system, they have a tendency to try to force plays. For example, Hawaii had 29 hitting errors against TCU in round 1; 14 of those were committed by Nikki Taylor. I think the TCU match would be a good video to watch when scouting them for Friday’s match as well as the Texas A&M match. 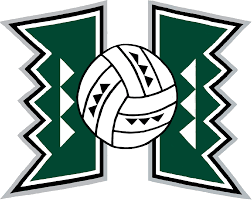 In my opinion, Texas A&M lost their match due to allowing Hawaii to control tight balls at the net. Another key is not to give Hawaii free balls and to limit unforced errors. That’s true for any opponent, but even more so against the Wahine. Make them earn every point. This team is not a team we want to get in a hole with. When facing Hawaii, you need to start out fast and keep the hammer down until the last point. This year’s edition of the Wahine has much better size than previous teams, and blocks well. 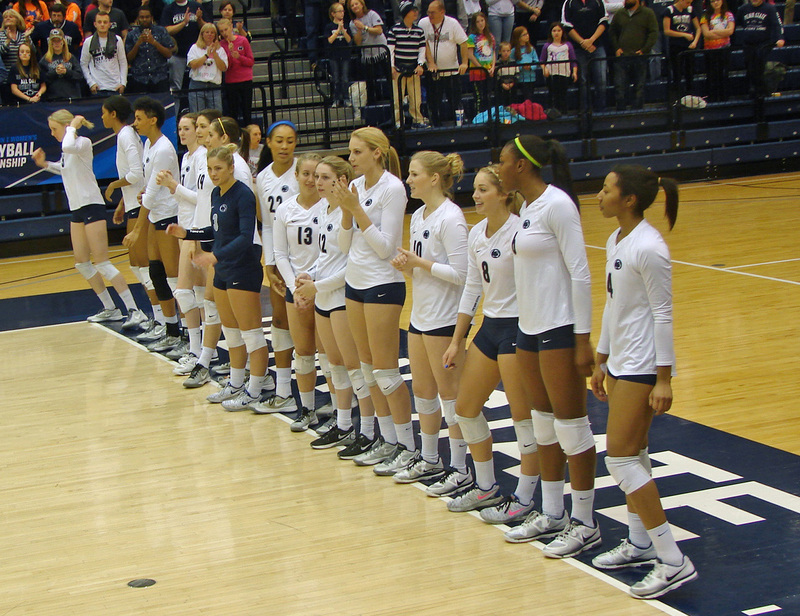 Another key to a Penn State win on Friday is for the Nittany Lions to throw a block party (and out block the Wahine). Bryanna Weiskircher needs to set Aiyana Whitney so that she can hit over the block. Bryanna should also be setting Washington on the slide as much as she can: Hawaii seems to have problems with the slide, so I think this would be really be effective. 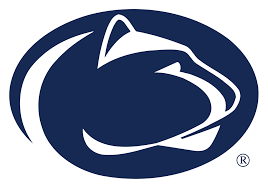 Hawaii is very good at controlling the net, and if the Nittany Lions are to win, they will need to win the battles at the net and kill short overpasses. To keep Hawaii guessing, Bryanna should go to the setter dump, which will hold Hawaii’s MBs long enough for her to set for one-on-one match-ups to her outsides. Hawaii is scrappy? Penn State needs to be even scrappier. The Nittany Lions need to stay focused from start to finish, with the mentality that NO ball hits the floor on our side of the court!